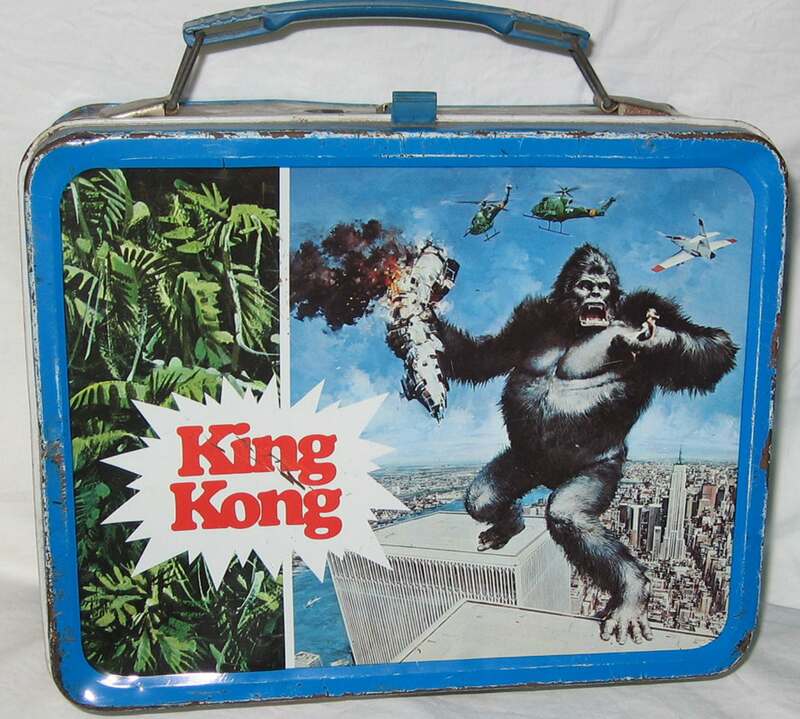 Lest anyone think that movie hype is a creation of the 21st century and modern Hollywood studios, today I wish to call your attention to the incredible age and specifics of King Kong Mania: the marketing and promotion surrounding the mid-1970s Dino De Laurentiis remake of the 1933 giant ape movie. 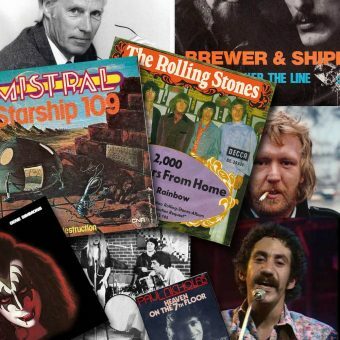 The year was 1976 — exactly forty years ago — and America was celebrating its bicentennial. Jaws (1975) was a huge blockbuster, and Star Wars was still a year off. The new movie had a distinctive tag-line too. “There is still only one King Kong,” it insisted. Later, fans of the 1933 original would use this tag-line as an attack on the remake, validating their preference for the source material. The 1976 movie starred a very young Jessica Lange, Jeff Bridges, and Charles Grodin, and the screenplay by Lorenzo Semple Jr. updated for the disco decade the classic movie’s story-line. Now, Kong was discovered by an oil expedition, not a movie crew. That discovery occurred not during the Great Depression, but in the age of the Energy Crisis, and Kong battled helicopters instead of biplanes. 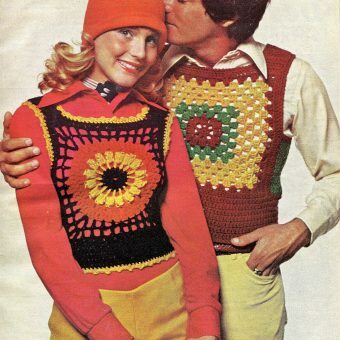 He also selected as his last-stand the World Trade Center instead of the Empire State Building. King Kong’s arrival in movie theaters was only a piece of the overall marketing strategy. 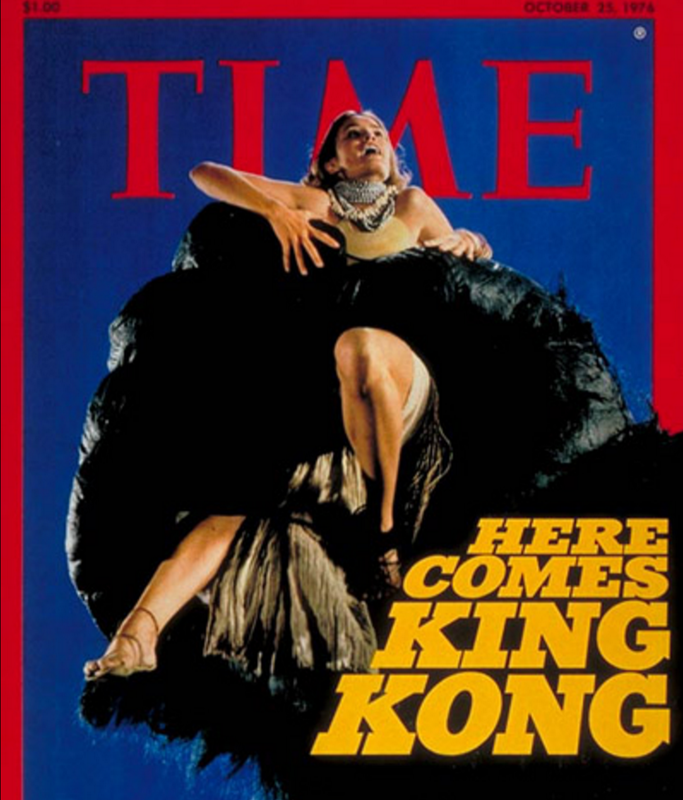 Time Magazine, in October of 1976, featured a cover story to the film, which promised “Here Comes King Kong,” and then the merchandise began to hit toy stores in waves. 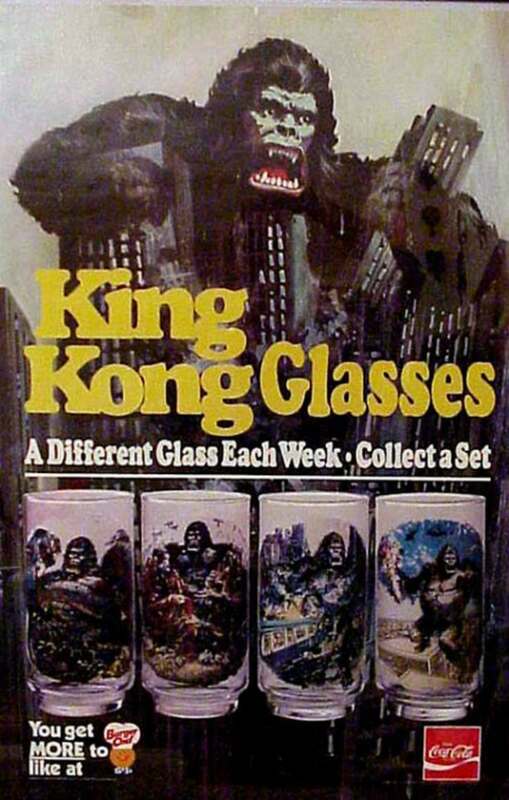 Ideal licensed and released a King Kong board game, while Burger Chef released, in time for the movie’s premiere, a selection of drinking glasses. 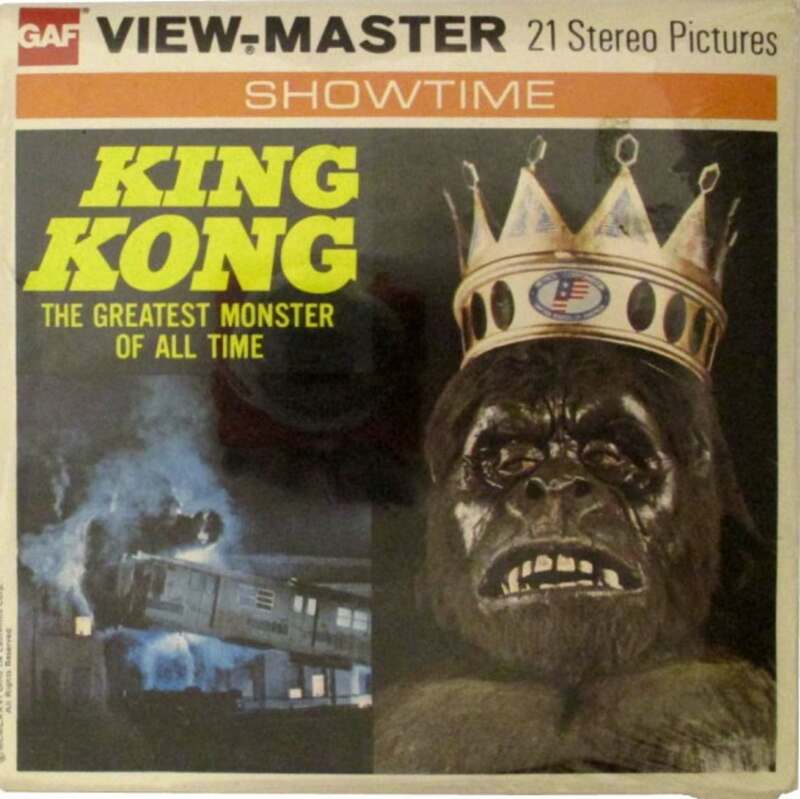 Meanwhile, King Kong plush toys, lunch boxes, trading cards, and GAF Viewmaster discs also hit the market. 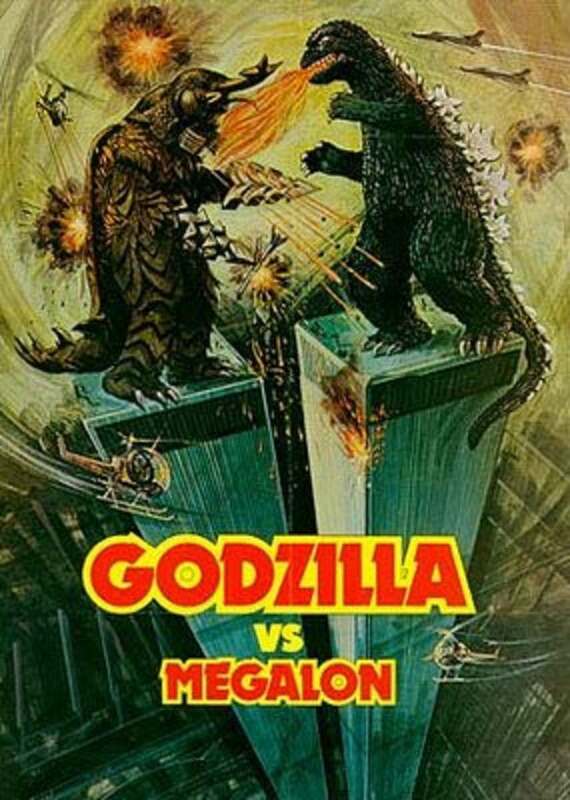 King Kong Mania got so big actually, that the newest Toho Godzilla movie, Godzilla vs. Megalon featured a rip-off poster showcasing Godzilla (the real king of monsters…) and his kaiju nemesis perched atop the Twin Towers. In the movie, Godzilla never got near the United States. 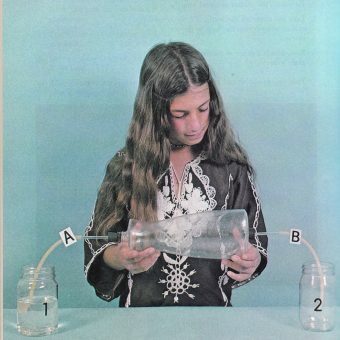 One of the weirdest but best instances of King Kong Mania came from Jim Bean, which sold a King Kong whiskey decanter, and printed instructions for customers to create their very own King Kong cocktail. 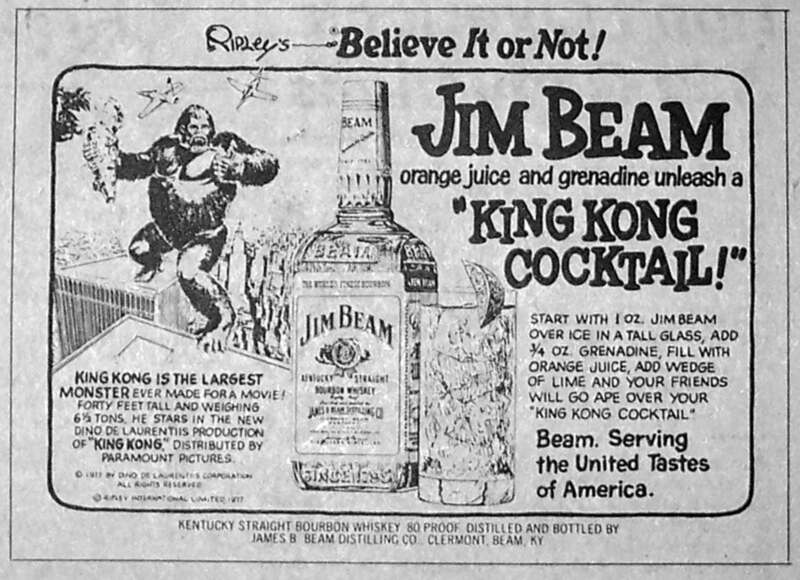 Those King Kong cocktails were the perfect chaser for official King Kong candy bars, which were sort of chocolate/peanut-butter cup knock-offs. 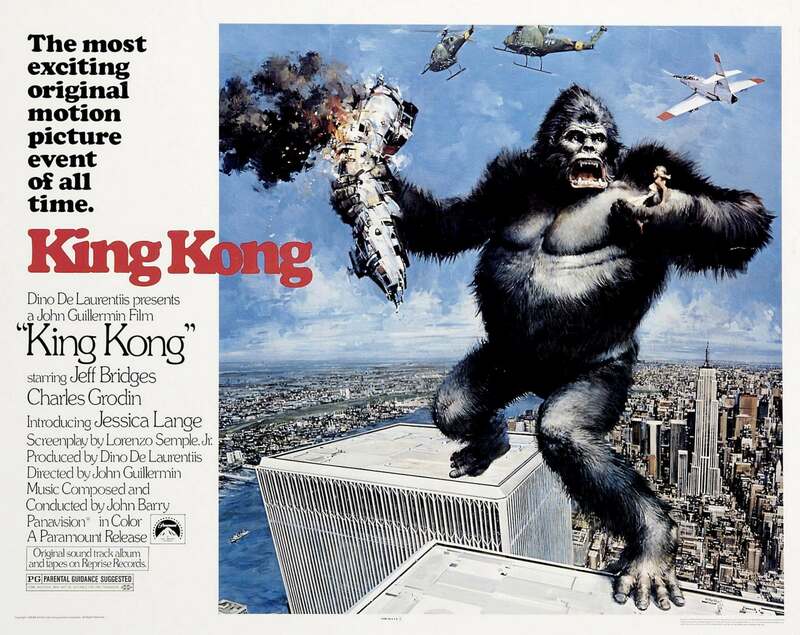 A lot of folks these days seem to think that the MCU or Star Wars movies originated the movie franchise-merchandise connection, but King Kong Mania, 1976-style is evidence to the contrary in the cinematic fossil record.